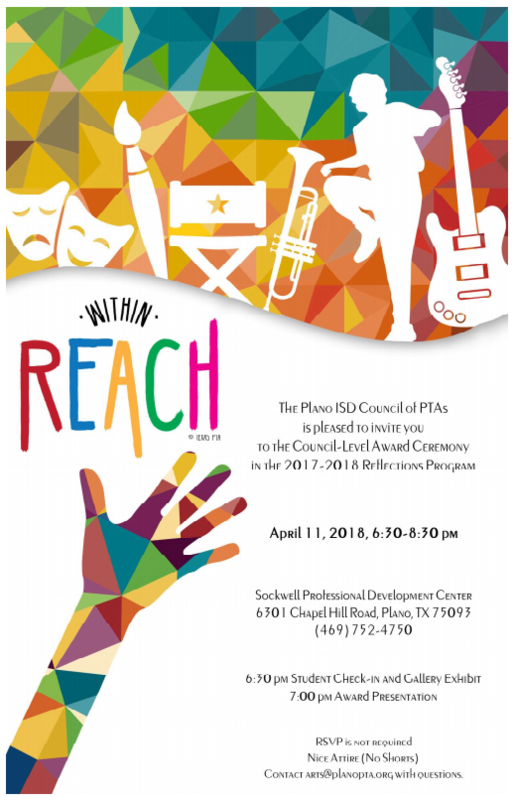 Disclaimer: The Reflections Awards Ceremony is for those Reflections participants whose entry was forwarded by the local campus PTA to the Plano ISD Council of PTAs judging, AND was awarded an Award of Excellence, Award of Merit or Honorable Mention by the Plano ISD Council of PTAs. Congratulations to Gulledge Elementary PTA and Huffman Elementary PTA for being recognized by National PTA as 2017-2019 Schools of Excellence! Click HERE to find out more about this program. 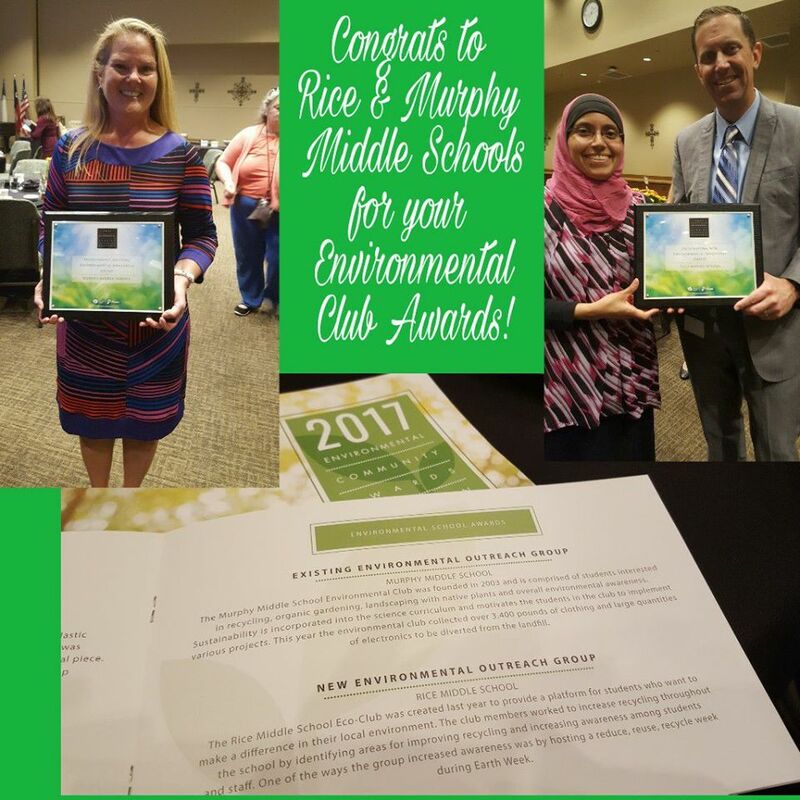 Congratulations to Rice Middle School for being the recipient of Plano's 2017 Environmental Community Award in the New Environmental Awareness Group category. They were given this award for their extensive recycling efforts and environmental advocacy. Congratulations to Murphy Middle School for being the recipient of Plano's 2017 Environmental Community Award in the Existing Environmental Awareness Group category. They will both receive a $500 award to be used for future projects and will be celebrated later this month at a luncheon hosted by the city. If your school has award winning environmental projects, we would love to hear about them. Contact the PTA environmental chair, Nicole Warhoftig, at environment@planopta.org.